So, you’re finally going to take that long awaited vacation with your significant other. But it’s not always wine and roses when a couple decides to hit the road together. A couple vacation can be a great experience, in terms of your individual experiences and the health of your relationship. On the other hand, vacations can also lead to relationship trouble. 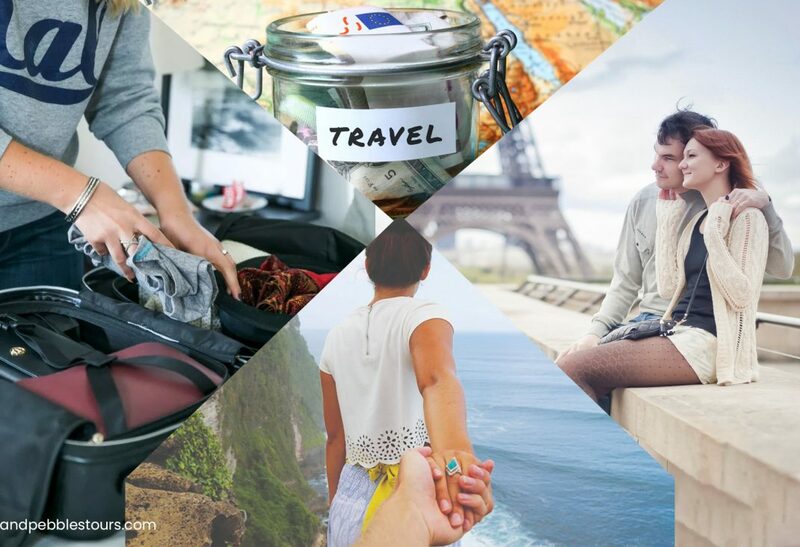 Here’s giving you a guide on How To Make your Vacation With Your Significant Other Memorable. Over planning can add unnecessary pressure to the trip. Consider ditching the itinerary if you guys feel like you’re more anxious than happy. Whether it’s a train delay or bad weather, learn how to adjust as a team. Remember to enjoy your time together. Spending a weekend together can be a perfect test to see if the two of you are good traveling companions. You can take a long hike in the woods close to your town or explore other cities near yours. That should show you how you and your partner will manage in a new surrounding. You’re a history buff & he wants to hike all day? Sometimes during planning it’s hard to come to a decision. As individuals, we all have our opinions and sometimes it’s just hard to accept a NO. The world is a big place and choosing one country to explore can be difficult hence, always decide on what would you want to do during your vacations. Make a list of places you want to visit, tell your bae to list his & compare it to mark some you both want to explore. As simple as that. 3. Leave Your Blame Games At Home! You know it. He knows it. We all know it! Once a disagreement arises, it’s the end of a good vacation even if you’re in an expensive exotic location with flowers & fairy lights all around you. Figuring out who’s right, wrong, or how you two even got into the predicament in the first place is irrelevant and a waste of time. All that matters is finding a solution to the problem — which is only going to happen by coming together and not pointing fingers. Decide how much you’re going to spend in total. Are you going to split the budget or someone is going to spend a little more? Are you ok with that? These are the questions you need to ask yourself & your significant other, way before the trip & it should be done in a organized manner. Maybe the difference in income for each of you is so big that one of you wants to pay for the entire vacation. If that’s the case then the other one should say if he’s okay with that. In any case, set the daily budget for your trip so none of you can spend more than you have. Some of us tend to pack a lot more than we actually need & that is going to be a big bummer in your trip. You can’t enjoy the trip to the fullest if your back is hurting from carrying the extra luggage. And even the worst, you have packed so much that you can’t carry your backpack & give your bae to carry it. Now he’s carrying his backpack & your backpack he didn’t ask for! When you’re packing take only the things you are going to need and which you cannot buy at the destination you are going. Don’t pack something you can’t actually carry on your back for a whole day. This way no one’s hands and back are going to hurt. You’re going to spend 24 hours with your partner & that’ll give you an insight of his or her likes & dislikes. Spending so much time together will create an opportunity to get to know each other better. When you are with him all the time you might discover his true nature, and that can be pretty scary. He probably has some habits or behaviors you didn’t know about, and all of them will probably get noticed when you are together 24/7. This applies to you too. He will be there if you lose your cool, which can lead to a horrifying experience. However, learning about one another can make you even closer, and you can even find some of his habits quite endearing. Even if you guys argue, if he rubs your feet after a long day, girl, he’s a keeper! You need to take care of each other. Don’t you like it when he saves the last piece of pizza when you’re busy with something? Return the care with much love & affection. It’s more important to let one another take care of each other, don’t try to be a stubborn and independent woman if you actually cannot do something on your own. Let him help you, and help him if you think you should do it.